Global Africa is a striking, original volume that disrupts the dominant narratives that continue to frame our discussion of Africa, complicating conventional views of the region as a place of violence, despair, and victimhood. 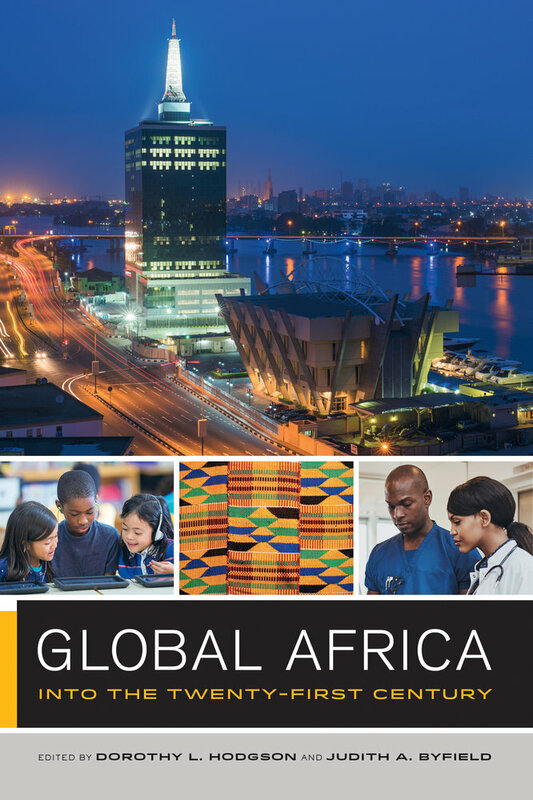 The volume documents the significant global connections, circulations, and contributions that African people, ideas, and goods have made throughout the world—from the United States and South Asia to Latin America, Europe, and elsewhere. Through succinct and engaging pieces by scholars, policy makers, activists, and journalists, the volume provides a wholly original view of a continent at the center of global historical processes rather than on the periphery. Global Africa offers fresh, complex, and insightful visions of a continent in flux. Dorothy L. Hodgson is Professor of Anthropology and Senior Associate Dean for Academic Affairs in the Graduate School - New Brunswick at Rutgers University. Judith A. Byfield is Associate Professor of History and Director of Undergraduate Studies at Cornell University. 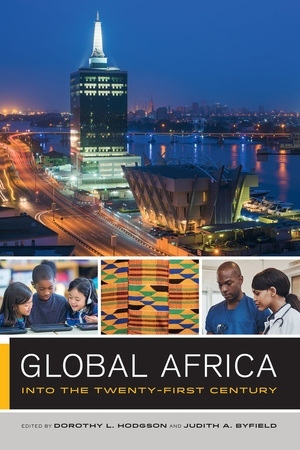 "In their wonderful Global Africa, Dorothy Hodgson and Judi Byfield have provided the public with a badly needed and smartly executed intellectual survey of important themes in African Studies and a vital and accessible guide to the topic. "—Howard W. French, Associate Professor, Columbia University Graduate School of Journalism, author of A Continent for the Taking: the Tragedy and Hope of Africa; China's Second Continent: How a Million Migrants are Building a New Empire in Africa; and Everything Under the Heavens: How the Past Helps Shape China's Push for Global Power. 0.1 • Why Global Africa? 4.5 • What’s in Your Cell Phone?